This European Charm Bead Sterling Silver Bracelet is 7.5 Inches long with a removable end cap for adding or re-arranging the beads. The diameter of the bracelet is 3mm, Add a Charm Bead from our collection of from Pandora, Chamilia, any bead with a 4mm hole will fit. Two stopper beads on either side of these Italian made precious metals beads keep them in place. 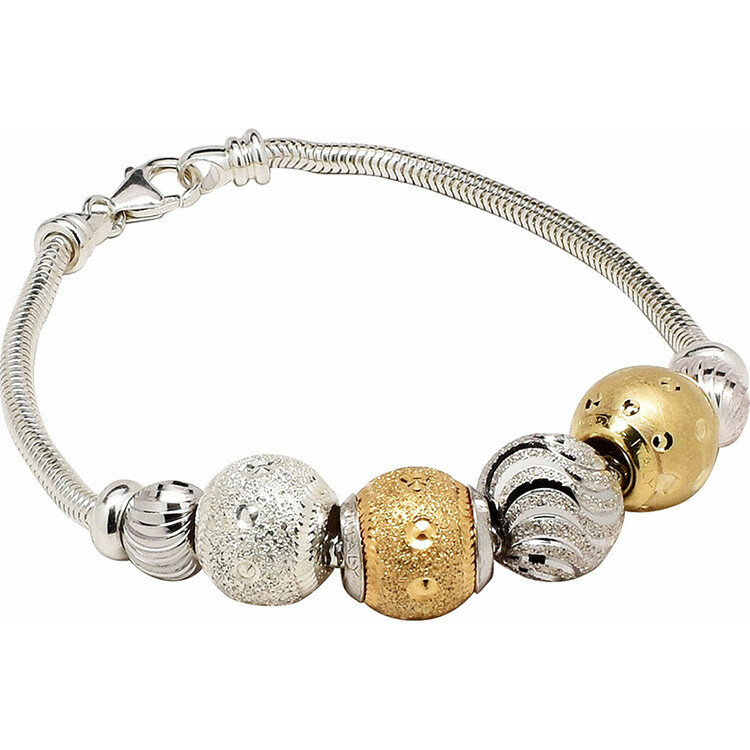 The bracelet is Sterling Silver as are the charms, the Gold is Vermeil, gold plate over sterling Silver. This is a limited Edition. For larger sizes of the bracelet, contact us.